Sometime it almost feels like a privilege to watch some of the stuff that I write about on this blog. When I got into viewing British television, there would be programs I heard about or maybe seen an episode of that I really wanted to see more but wasn’t always possible due to these programs not being available in the states. One of the series I wanted to see more of was Steptoe and Son. Back in the days when I was trading tapes, I was lucky enough to get a hold of an episode of this series. As anyone who had a history of trading tapes and had been doing it long enough will tell you, sometimes you end up with the more rare stuff before getting the more commonly available stuff. In this case, on a tape of the Doctor Who story The Edge of Destruction from the BBC master tape there was an episode of Steptoe and Son titled My Old Man’s a Tory from series Four. This little gem was rare because the original quad tape had been wiped years and years ago and there was no 16mm print. What we had was the episode taped from the master tape onto the Shibaden video system for the writers of the series (Ray Galton & Alan Simpson) so they could have their own copy. 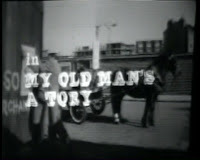 A lot of the Series Five and Series Six episodes were recovered this way too but My Old Man’s a Tory was in real bad shape. The line structure of the image was all crazy. I had this episode and watched it. It was funny and intelligently written. It was BBC television from the 1960’s which I considered to be gold. Over the years I was able to collect quite a few of the episodes on VHS but not all. Then, like a gift from God, the BBC started to release all the episodes on DVD. 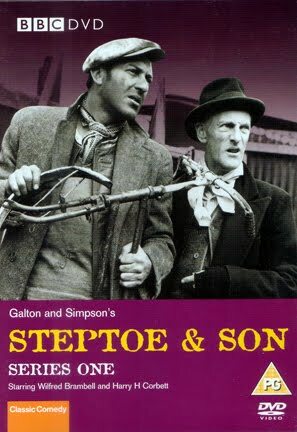 I still look at my shelf and chuckle to myself that I can watch any episode of Steptoe and Son when I want to see one. I was thrilled when this series came up this week. 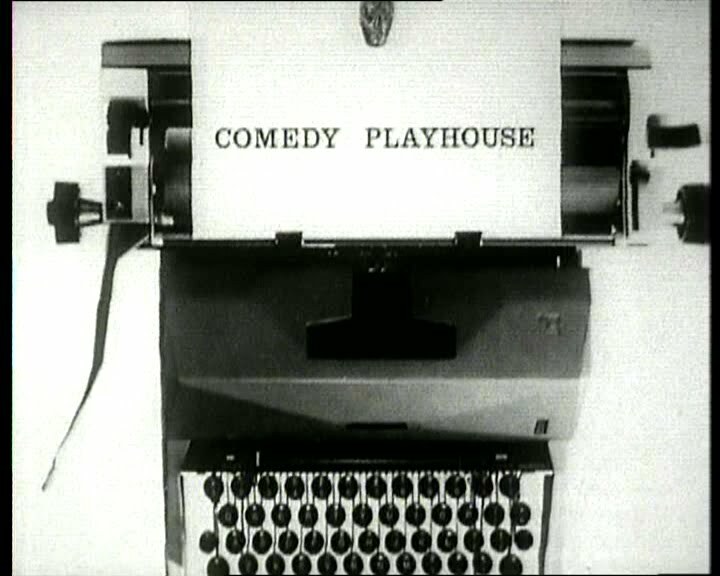 Alan Simpson and Ray Galton had great success writing for Tony Hancock in Hancock’s Half Hour. The BBC saw them as very talented and wanted to give them the opportunity to write more for the organization. 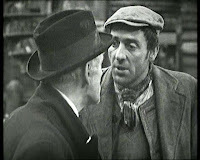 The writers agreed to write six comedy episodes and Steptoe and Son came about because the writers needed to write a cheap production which just had two characters and limited sets. It was never intended for this episode to become a full-fledged series. 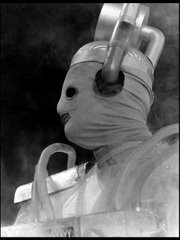 It wasn’t until rehearsals that Tom Sloane, the head of BBC comedy, told them he thought this episode had the potential to be a series. The first episode was part of Comedy Playhouse where it did very well. It returned later in the year with the start of the first full series. 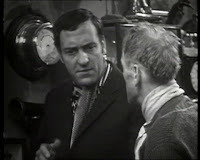 The role of Albert Steptoe went to Wilfred Brambell; Albert’s son Harold would be played by Harry H. Corbett. There was only 13 years difference between the two actors. Steptoe and Son would be the first situation comedy that did not employ comedians to play the roles. The comedy would come from the writing and situations. The Offer begins the way so many episodes of the series start off: Harold comes home from the rounds as a Rag and Bone Man. He is tired and his cart is filled with all sorts of dilapidated items. Albert is at home, as an old man there is not much he can do or at least the is the impression he gives. As soon as Harold gets into the yard, Albert starts laying into him about what a horrible Rag and Bone man he is. Soon after they start emptying the cart, Albert starts finding items picked up on the rounds that he really likes and wants to keep them for himself. Harold is furious at the idea that all the good things he picks up won’t be flogged but go to his father. Harold explains to Albert that he has an offer for a better job and if Albert keeps this up, then he will take the offer and leave Albert to fend for himself. As they continue to unload, Harold brings some bottles of alcohol he picked up into the house. He takes these almost empty bottles and uses the alcohol left to fill up the bottles in his collection. It is then he notices that Albert has been at the gin while Harold has been out on the rounds. Harold is livid and decides to take the offer. In a fit of anger, Harold starts loading up the cart but this time with his own stuff. He’s had it with the old man and is going to ditch him. Albert tries everything he could think of to stop Harold from leaving including faking a heart attack. Harold will listen to none of it. He made up his mind. The cart is loaded and all Harold needs to do is get the horse and he is off. One minor inconvenience for Harold, his father will not allow him to use the horse. Harold is forced to try and move the heavy cart by himself. The result is that the cart will not move. Harold is stuck just as he has been his whole life. In a very sad moment, he breaks down. Even Albert can’t help but to feel sorry for him. Albert collects Harold and brings him back into the house. The scene when Harold is trying to move the cart and breaks down is interesting. Clearly, the audience is not really sure what to make of it. This is a comedy series after all and when Harold is trying to move the cart it’s funny because Harold is putting forth so much effort but doesn’t move at all. It’s when Harold breaks down and Harry H. Corbett exhibits real tears is when the audience doesn’t really know what to do. It’s audible on the soundtrack when some are still chuckling but clearly some get what is trying to be achieved. It’s a very powerful moment which doesn’t really get repeated on the emotional level again. Though that moment shows how this was a very different situation comedy than what had come before it. When Harold gets home from doing the rounds, he is very secretive. He plans on going out for the night, just like he did the night before. He gets ready by having a wash but Albert is skeptical as Harold had a wash the night before. He’s even shaving for the second night in a row. He only usually shaves twice a week. Albert is trying to get it out of him but Harold reveals very little. 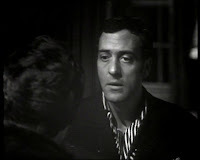 Albert tries to keep him to stay at home with the lure of Perry Mason being on TV that night but even that has no effect. Finally, Harold spills the beans by telling his father he is going to meet a bird. Albert can’t believe why Harold would want to meet girls when he has Albert for company! In typical Steptoe and Son fashion, Albert and Harold spar with insults back and forth. This, as always, is wonderfully written. Finally, Albert offers that Harold and his girlfriend have dinner at the house. Harold is unsure what to make of this because suddenly Albert is so nice. The night of the dinner, Harold is very nervous. He also notices that Albert never washed up and forces him to clean himself up by running his head under a faucet. Harold’s date is late. Time keeps passing by and there still is no sign of Harold’s date. Finally, Harold loses it and explodes. He clears the table by throwing all the plates off it and destroys everything in sight. He rampages through the room. He is furious that the woman stood him up! Just then, a knock on the door; his date finally arrives. Harold is not content with her being late; he opens the door, tells her off and slams it in her face. No one is going to take advantage of Harold Steptoe! He goes off to bed and Albert follows him but before leaving the room, stops at the grandfather clock and moves the hands back to the correct time. Both episodes are depressing. I’ve never really thought of it before but I felt an inner sadness as the episodes were going on. Especially with The Offer. It’s sad when Harold is clearly more intelligent than he was ever given credit for. He had been held back from doing just about anything his whole life and has never been given the opportunity to do more with his life. Maybe what saddens me is that Harold was just a little bit older than I am and that I felt bad that he had very little to look forward as long as he was burdened with his father. I think around this age, it’s not uncommon to think to oneself about what accomplishments have been made and what to do with the time remaining. It really resonated with me in a way that I had not noticed before. It’s been a few years since I watched the episode but I was a younger person when I last watched it, perhaps all that plays into it. A very interesting observation. The Bird was depressing because it is just the first of many times of Albert doing something to sabotage Harold. He specifically turns Harold against his girlfriend. It is very funny but it is also quite cruel. The reason Albert does this is that he wants someone to take care of him and go out on the rounds. I suppose another reason he does it is because he likes to have control over Harold. The real difference between The Offer and The Bird is that The Bird is a little more slapstick which becomes a hallmark for the series where The Offer almost plays as drama in many ways. I have heard people complain about the early DVDs of this series. Basically, the prints of the episodes are the positives that have been struck years ago. This is basically what masters were available off the shelf in the BBC archive and putting them onto DVD. I understand what they are talking about but yet do not agree with them. Of course I would love this series to get the same love and care that the Doctor Who DVDs get but that is not likely to happen. Since I am an easy going consumer, I rather have episodes released in the quality they are in now rather than have them not released at all. The BBC would need to go back to the negatives for the early episodes and re-transfer the episodes. That cost money but the ironic thing is that it is very possible that Steptoe and Son would outsell the classic Doctor Who DVDs although the Doctor Who DVDs are the ones that have been completely restored from the ground up. The print quality of The Offer is pretty poor. There are a lot of scan lines throughout the entire episode and everything looks really zoomed which is not uncommon with a telerecording. But it’s even more so than a regular telerecording. The difference between the two episodes is really profound. The Bird is an altogether much better print than The Offer. It doesn’t have the scan lines and it’s just a little easier on the eyes. Although it has not been cleaned and there are tape drop outs, I find this completely acceptable to watch. Once again, if it is this vs. nothing at all, the choice is really easy for me. 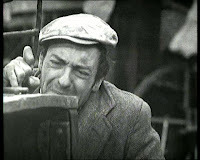 Steptoe and Son went on for a total of eight series, 2 films and a radio series. It was a massive success and turned the two stars into household names. I watch it and find the quality never dipped throughout any of the series and in fact improved over the years. My recommendation for anyone who has seen any of the episodes is to seek out the radio series; it’s just as good as the TV series and is great to listen to on the go. And, if you are reading this article and never seen the series, go and find it. All episodes are released in a boxset and I guarantee you will not be disappointed. Next week: We finish off the September theme month of first episodes with the very seldom seen series Come Back Mrs. Noah with the first two episodes. This series doesn’t have the best reputation. Is that reputation deserved?